Accounting is a discipline that is always in demand, and CIT’s Accounting qualifications provide high level training with work-ready skills to give you the edge in the workforce. This professional course will prepare you to perform advanced accounting roles. Graduates from this program will be ready to embark on, or continue with, successful careers in both the private and public sectors. This qualification includes units that are recognised by the Australian Tax Practitioners Board. Certificate III - Materials: $10. Textbooks: $250 approx. Certificate IV - Textbooks: $450 approx. Advanced Diploma - Textbooks: $560 approx. Description: This unit describes the skills and knowledge required to conduct business activities using a computerised accounting system. This work is conducted under supervision and encompasses entering information into the system, processing transactions in the system, and producing reports. It applies to individuals who use specialised knowledge, information technology, and coordination skills when operating computerised accounting systems in the course of their business activities in service and trading environments. Description: This unit describes the skills and knowledge required to prepare and process routine financial documents, prepare journal entries, post journal entries to ledgers, prepare banking and reconcile financial receipts, and extract a trial balance and interim reports. It applies to individuals who use specialised knowledge and follow agreed processes to carefully check and process detailed financial information to ensure standards are maintained. Work functions in the occupational areas where this unit may be used are subject to regulatory requirements. Refer to the FNS Financial Services Training Package Companion Volume Implementation Guide or the relevant regulator for specific guidance on regulatory requirements. Description: This unit describes the skills and knowledge required to reconcile and monitor subsidiary accounts in financial accounts receivable systems, identify bad and doubtful debts and plan a recovery action, record creditor invoices, and remit payments to sundry creditors. It applies to individuals who use specialised knowledge and follow agreed processes to problem solve within the scope of own responsibility. Work functions in the occupational areas where this unit may be used are subject to regulatory requirements. Refer to the FNS Financial Services Training Package Companion Volume Implementation Guide or the relevant regulator for specific guidance on regulatory requirements. Description: This unit describes the skills and knowledge required to use a range of routine calculation methods and techniques when performing routine financial calculations and checking calculation outcomes. It applies to individuals who use literacy and numeracy skills to perform routine computational tasks as part of their operational job role. Description: This unit describes the skills and knowledge required to maintain a register of capital expenditure items.It applies to individuals who operate under some supervision in asset control roles in organisations of various sizes. Description: This unit describes the skills and knowledge required to analyse, verify and process credit and debit transactions, and prepare reconciliation reports. It applies to individuals who, within their limit of responsibility, use numeracy skills to accurately perform and check financial calculations and closely follow organisational procedures. Description: This unit describes skills and knowledge required to record general journal adjustment entries and to prepare end of period financial reports. 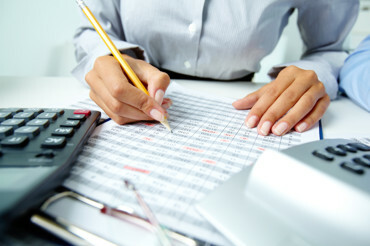 It applies to individuals employed in a range of work environments who are responsible for preparing financial reports. They may be individuals providing administrative support within an enterprise, or they might have responsibility for these tasks in relation to their own workgroup or role. Description: This unit describes the skills and knowledge required to work autonomously and in teams to complete work activities relating to the provision of accounting and bookkeeping services. It applies to individuals who occupy roles with some responsibility and use a range of research and organisational techniques to establish and carry out their work requirements in the accounting industry.Work functions in the occupational areas where this unit may be used are subject to regulatory requirements. Refer to the FNS Financial Services Training Package Companion Volume Implementation Guide or the relevant regulator for specific guidance on regulatory requirements. Description: This unit describes the skills and knowledge required to establish, operate, and modify an integrated computerised accounting system. This is generally under supervision and encompasses processing transactions in the system, maintaining the system, producing reports, and ensuring system integrity. It applies to individuals who, within the scope of own responsibility, use specialised knowledge, information technology, and planning and organising skills to establish and maintain an organisational system in service and trading environments. Description: This unit describes the skills and knowledge required to identify and apply compliance requirements to effectively process and complete business activity statements (BAS), instalment activity statements (IAS), and other required reports. It applies to individuals who use a range of organisational and analytical techniques to work in organisations or to supply specific bookkeeping services as a small business owner or contractor. Work functions in the occupational areas where this unit may be used are subject to regulatory requirements. This unit is designed to meet the education requirements of the Tax Practitioner Board (TPB). Refer to the FNS Financial Services Training Package Companion Volume Implementation Guide or the relevant regulator for specific guidance on regulatory requirements. Description: This unit describes the skills and knowledge required to record and prepare payroll documentation, respond to enquiries, and process payroll data for manual and computerised systems. It applies to individuals, including BAS agents, who use a range of organisational and other specialist techniques. They may work directly for organisations or be small business owners, contractors or service providers. Work functions in the occupational areas where this unit may be used are subject to regulatory requirements. This unit is designed to meet the education requirements of the Tax Practitioner Board (TPB). Refer to the FNS Financial Services Training Package Companion Volume Implementation Guide or the relevant regulator for specific guidance on regulatory requirements. Description: This unit describes the skills and knowledge required to use spreadsheet software to complete business tasks and produce complex documents. It applies to individuals employed in a range of work environments who require skills in creation of complex spreadsheets to store and retrieve data. They may work as individuals providing administrative support within an enterprise, or may be independently responsible for designing and working with spreadsheets relevant to their own work roles. Description: This unit describes the skills and knowledge required to prepare financial statements for entities that do not have a statutory duty to file financial reports with government agencies and regulators. It applies to individuals who use specialised knowledge and systematic approaches to collate and prepare financial information in line with accounting standards. Work functions in the occupational areas where this unit may be used are subject to regulatory requirements. Refer to the FNS Financial Services Training Package Companion Volume Implementation Guide or the relevant regulator for specific guidance on regulatory requirements. Description: This unit describes the skills and knowledge required to analyse and report on a broad range of financial and business performance information. It encompasses assessing client needs, analysing data, and preparing advice. Description: This unit describes the skills and knowledge required to prepare non-complex income tax returns for individuals in line with statutory requirements. It encompasses gathering and verifying data, calculating taxable income, and reviewing compliance requirements. Description: This unit describes the skills and knowledge required to prepare, document, and manage budgets and forecasts. It encompasses forecasting estimates and monitoring budgeted outcomes. Description: This unit describes the skills and knowledge required to prepare financial reports for a corporate reporting entity. It encompasses compiling and analysing data and meeting statutory reporting requirements. Description: This unit describes the skills and knowledge required to review corporate governance requirements, implement internal control operating procedures, and monitor associated policy. Description: This unit describes the skills and knowledge required to gather, record and analyse operating and cost data, prepare budget reports, and review costing system integrity to calculate and record the costs of products and services. Description: This unit describes the skills and knowledge required to research, analyse and apply legal principles to provide advice on contract and consumer law implications to clients. Description: This unit describes the skills and knowledge required to evaluate returns to operations, determine short-term and long-term needs, and evaluate an organisation’s financial position and performance. It applies to experienced individuals who use specialised knowledge and skills to evaluate complex financial information and make recommendations relevant to strategic organisational activity. This unit describes the skills and knowledge required to work autonomously and in teams to complete work activities relating to the provision of accounting and bookkeeping services. It applies to individuals who occupy roles with some responsibility and use a range of research and organisational techniques to establish and carry out their work requirements in the accounting industry.Work functions in the occupational areas where this unit may be used are subject to regulatory requirements. Refer to the FNS Financial Services Training Package Companion Volume Implementation Guide or the relevant regulator for specific guidance on regulatory requirements. Description: This unit describes the skills and knowledge required to research corporate governance reporting trends, examine corporate governance standards and practices, and review compliance to develop and implement processes and procedures for meeting corporate governance obligations. It applies to individuals who use current and specialised knowledge and analytical skills to provide advice on organisational processes to meet compliance and management requirements. This unit describes the skills and knowledge required t to access, interpret and analyse statistical data relevant to the financial services industry. It encompasses producing new statistical information and reports from existing data using a range of tools and processes. It applies to individuals with a thorough understanding of the sources of financial data, and statistical methods and techniques for analysis. It is a base unit on which other skills required for work in the financial services industry can be built. It may be applied in all sectors of the industry. Description: This unit describes the skills and knowledge required to research and analyse legal principles and issues in corporations and trust law matters and then apply this knowledge to provide advice to clients. It applies to individuals who work with corporations and trust laws in the workplace as determined by the job role, legislation, rules, regulations and codes of practice relevant to different jurisdictions. This unit describes the skills and knowledge required to research, analyse and apply legal principles to provide advice on property law matters to clients. It applies to individuals whose job role involves the application of knowledge of property law in the workplace. Certificate III: Cashier, bookkeeper, accounts payable/receivable assistant, payroll assistant. Certificate IV: Employment in accounting roles such as completing BAS, completing other office taxes, operational reporting, producing management reports, managing a small office. Diploma: Assistant accountant (inventory, payroll, accounts receivable and payable, computerised bookkeeping and costing), budget officers, office managers, administration managers. Advanced Diploma: Professional accountant, banker, tax agent, financial manager, consulting and strategic business planning, small business advisor. Assessment methods include projects, presentations, assignments, tests and reports. 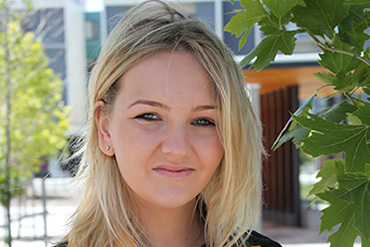 Students who successfully complete the Diploma of Accounting will receive 24 credit points (1 year) towards University of Canberra's Bachelor of Accounting (MGB001.1). 36 credit points (1.5 years) towards University of Canberra's Bachelor of Accounting (MGB001.1). 36 credit points (1.5 years) towards University of Canberra's Bachelor of Commerce (Accounting) (MGB301.1). Page Updated: Tuesday, March 5, 2019 | © 2019 Canberra Institute of Technology. In the spirit of reconciliation, we acknowledge that we are on Ngunnawal land.